There are 11 reviews of 07 Tanoke. A superb incense based fragrance with ginger, pepper and orange out front. I feel like there's some clove in there too, although not listed. The olibanum keeps this from turning into a potpourri in the opening. Not that potpourri is a bad thing...I love a good potpourri. But, this is a much dryer, more woodsy scent. I would say this is a very stark fragrance, meaning that it's well delineated. It's got nothing to hide...it's all out there. It's in your face, literally, and just is what it is. And, what it is, is a very good thing. It smells wild, but it's a well behaved wild. I feel like I'll wear this a lot more in a suit, white shirt and tie than I will in jeans and a t-shirt. Not that it wouldn't fit in both situations. This makes me feel like I'm sitting in a board room at a huge table made out of a single slab of redwood tree that's got different shades of deep browns and reds rippling outward in a circular pattern from the center. But, it's covered in many layers of clear acrylic to keep it from giving me slivers. Yeah, it's kind of like that. Two enthusiastic thumbs way up! Neutral rating ONLY because I don't like it, not because it isn't good. It's too linear and too strong. There are other notes but all I get is incense all day long. And yes, it does not quit. Super smoky super incensy. Every time I wear this, I get asked what it is, by both men and women. That's probably the greatest compliment a fragrance can receive. Buy a bottle. Like the pyramid, bitter orange and ginger with a bit of pepper at the top and then a lot of frankensense and woods. At first sniff I knew I had to have this one. Definately a woody incense fragrance. Not timid but well behaved. Some complain about longevity but it lasts and lasts on me. This will become a staple in the fall. The best from Odin IMHO. FBW. Incense is not listed in the pyramid but this is an incense frag.. Great projection and longevity unlike Avignon which is a bit more tamed.. I prefer this as the Frank and Patch give it a more edgier feel.. This could be a Holy Grail frag but I must wear it a few more times.. This is for ppl that like loud incense frag's only so plz be aware!! Tanoke packs quite a lot of heft with its smoldering macho woods ,incense and pepper. It's got a strong and moderately fiery character. I also get a lot of vetiver in the heart . Definitely more masculine but if you love deep incense and woods , a woman can pull this one off. Very good. Cons: None - but more masculine"
There are no member images of 07 Tanoke yet. Why not be the first? 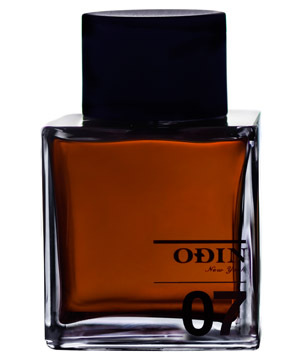 Does [07 Tanoke (2011) by Odin New York] smell like [Tokyo by Kenzo] ?